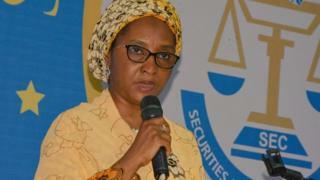 Nigeria goment don finish plans to increase moni wey di kontri dey make wit new taxes, according to di kontri Minister of Finance, Zainab Ahmed. Madam Ahmed say goment go use di new taxes wey dem wan introduce to raise funding for di 2019 budget but she no give details of wetin di new taxes go be. She tok dis one for di public hearing of di 2019 budget wey di Senate and House of Representatives committee do. Some goment officials don suggest before make dem introduce new taxes ontop luxury goods. Dis statement dey come just one week afta di Minister of Budget and National Planning Ministry, Udo Udoma and di chairmo of di Federal Inland Revenue Service, Babatunde Fowler announce say goment dey plan to increase Value Added Tax (VAT) to raise funds for di new minimum wage wey goment increase from N18,000 to N30,000. How many hours in a day you dey see light for your area?